This is the most comprehensive type of survey and is recommended when purchasing a used Vessel. A pre-purchase survey essentially looks at the boat inside and out and from top to bottom. The boat must be out of the water as we assess the hull condition, its construction and any cathodic or other forms of protection. The propeller, shaft and rudder and every other part that is usually submerged is thoroughly inspected. Above the water line, we look at the through-hull penetrations, the decks, windows, external lockers and fittings. The engine and fuel system, the electrical and gas systems, the fresh, grey and black water systems, are all inspected and checked. We look at the bilges and all those areas that are often ignored. The pre-purchase survey also looks at the safety systems on board and the condition of the fit out. APB Yacht Surveys can tell you all you need to know so that you can buy your boat with confidence. Hull surveys look at the condition of the hull, how it is protected and the integral areas such as gas lockers and engine compartments. For steel Vessels, we assess the thickness by percussion and ultrasonic thickness testing. 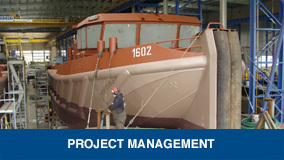 Coatings, anodes, strakes, integral fenders and any other protective measures are assessed and advised on. The inside of the hull is the most common place for corrosion to form and so is assessed, wherever it is accessible. Sometimes an out of water survey is required depending on the last time one was done and the age of the Vessel. A valuation is included in the insurance report. Following a collision, grounding, machinery failure or fire APB Yacht Surveys establish the cause and extent of damage. APB Yacht Surveys help with repair estimates, evidence collection for insurers and can find the most appropriate yard for repair. If needed, APB Yacht Surveys can superintend the repair process until completed. APB Yacht Surveys issue final reports that detail and summarise events from the time of damage to the completion of the repair. The sea trial takes a Vessel through various controlled manoeuvres and speeds to assess performance, handling and technical information. For private Vessels, these are generally only needed for larger motor and sailing yachts. The propeller and shaft are inspected and the rudder and steering gear is also assessed. APB Yacht Surveys also look at the through-hull fittings both externally and internally, where accessible. Water traps can be found in engine compartments, external lockers and deck areas. These all form parts of the hull and so APB Yacht Surveys include these as standard in all hull surveys. 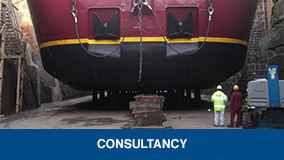 GRP, wood, and concrete hull surveys are also carried out using the relevant tools and techniques. A valuation is often requested at the same time as a pre-purchase survey but they can also be commissioned separately. 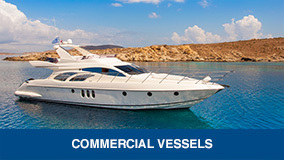 They are often requested by banks, insurers and lawyers and it determines the fair market value of a Vessel. APB Yacht Surveys research the current status of a mooring and any investigate any plans for change so that your best interests are protected and a realistic value is given. The insurance inspection looks at risk and is carried out so that an underwriter can determine on what terms they might cover the Vessel.